PEARLAND — The Dawson Lady Eagles (10-9, 4-4) continue their effort to advance to the post-season as they won two district games last week before falling to the Dobie Lady Longhorns. 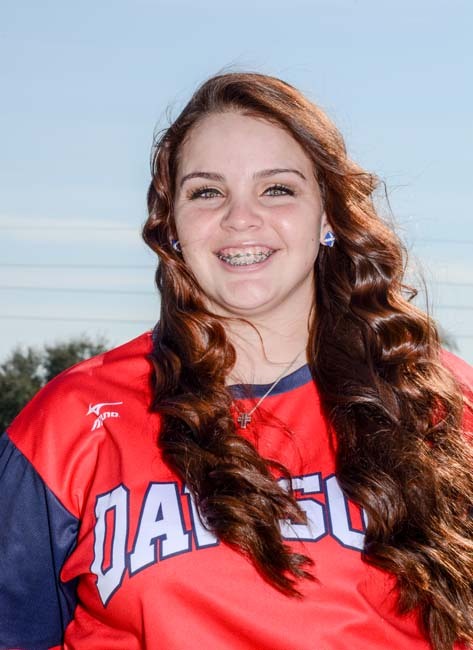 Dawson got an important victory over the Manvel Lady Mavericks 8-7 in a back-and-forth affair. The Lady Eagles took the lead in the top of the seventh inning and held on for the victory. The Eagles scored on a two-run home run by Rylee Rodriguez plating Gabrielle Chacon who had reached base via a walk. Rodriguez racked up three RBIs on three hits while scoring three times. Even though Chacon allowed seven runs over seven innings she still recorded the victory. Chacon struck out two, walked one and gave up 13 hits. Dawson also picked up a 14-3 win over South Houston as Rylee Rodriquez powered the Lady Eagles at the plate and on the rubber. Rodriguez racked up five RBIs on three hits for the Eagles. She homered in the first inning, tripled in the second inning, and singled in the sixth inning. South Houston's lineup had no answer for Rodriguez. South Houston managed just one hit off of the Lady Eagles' pitcher, who allowed one earned run, walked three and struck out one during her four innings of work to pick up the win. Other top hitters included Baylee Malone (4-for-4, 2 runs), Amber Langston (2-for-4, 1 run), Izzy Richie (2-for-5, 2 runs), and Maddie Richie (2-for-4, 2 RBIs, 1 run). The Lady Eagles closed out the first round of league play with a close 3-2 loss to the Dobie Lady Longhorns. Alvin, Dobie, and Pearland are tied for the district lead with one loss each. Dawson is 4-4 in district after the opening round. Rodriquez provided the only fire-power for the Lady Eagles as she went 1-for-2 with one RBI and one run scored. The Lady Longhorns scored three runs in the first inning off Gabrielle Chacon and Dawson was unable to rally for the win. Chacon didn't make it through the opening frame and was relieved by Rodriquez who didn't allow anymore runs while the Lady Eagles couldn't get to the Dobie pitcher.